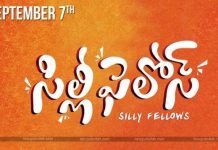 Starring: Allari Naresh, Sunil, Chitra Shukla, Poorna, Nandini Rai, Brahmanandam, Jaya Prakash Reddy, Posani Krishna Murali, Raja Raveendra, Chalapathi Rao, Adhurs Raghu, Jhansi, Hema. Janaki Ram(Jaya Prakash Reddy) is MLA and he is also a professional tailor. So, he was called as Jacket Janaki Ram. Though, Veera Babu( Aaalri Naresh) and Suri Babu are friends and work at Janaki Ram. Once, Janaki Ram arranges the mass marriages but a couple misses from there. So, for Janaki Ram honor, Veera Babu does the marriage of Suri Babu with recording dancer Pushpa(Nandini Rai). Though, Sunil fiance (Poorna) ignores him. But, laterally she makes a condition that Suri Babu will prove himself. At the same time, Veera Babu lover Vasanthi(Chithra Shukla) wants to become a police officer. So, she gives 10 lakhs to Veera Babu and he give s that money to Janaki Ram. Suddenly, Janaki Ram goes into the coma due to an accident. Unexpectedly, Bhootam(Posani Krishna Murali) wants him to know the secret of crores of money. In the wake of this situations, how Suri Babu proves himself? Does Veera Babu win his love? What is the secret behind Bhootam and Janaki Ram? What will happen after Janaki Ram wakeup? On the big screen…. Actually, it is a Tamil movie that is Velayinu Vanduta Velaikaran. Director Bhimaneni Srinivasrao made it as suitable as Telugu version. Though it goes with hilarious comedy, some logics missed in the movie. Of course, Bhimaneni Srinivasarao told that don’t analyze the logic in the movie, just enjoy comedy. If we take Sudigadu movie, that was the biggest hit movie in Allari Naresh Career but it has not any logic. Sometimes, logicless scenes create comedy in the film. There is much comedy in this film but going to theatres without expectations, it will satisfy. In past days, Jandhyala, and now Trivikram use general comedy tracks for their movies. Actually, a comparison is not fair but who compares this movie to their movies, it may seem like a logic less comedy film. Though, the audiences keen on logics in the movie from recent times. So, it is quite natural to comment on it. And, who never the logic and goes only for enjoying the comedy, they will get satisfaction with this film. The first half of the movie goes with cool comedy but it decreases in the second half. But, the climax of the movie is hilarious and very entertaining. Allari Naresh and Sunil completed their graduates in comedy. Actually, we can’t stop laugh when we see them on the screen jointly. Sunil did change his body, not his comedy timing. He did an excellent comedy in this film. 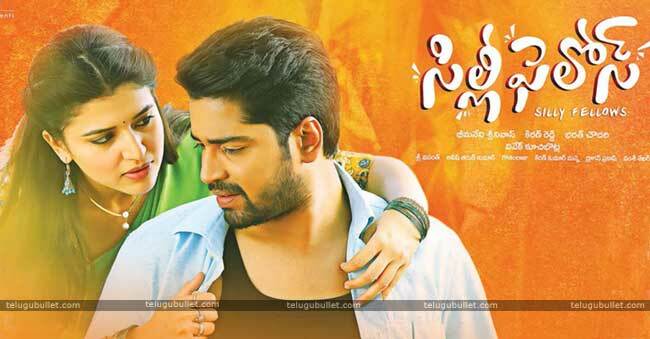 And, Allari Naresh is very energetic in this film may be due to his partner Sunil. Simply saying, he nailed his role with performance. However, Chitra Shukla, Poorna, and Nandini Rai did a good job. And, other casts Jaya Prakash Reddy, Poasni Krishna Murali, Raghu, and others played well. The script was good but there is missing some beauty in execution. Though, Sri Vasanth’s music was good. And, cinematography and art are well. Moreover, the film production values also superb. Actually, it missed the logic in the movie, apart from that movie is an entertainer. Can watch with family and friend joyfully. The audiences who want to see Sunil and Allari Naresh, they will satisfy with the movie. 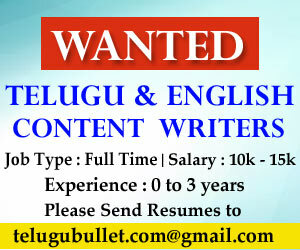 Previous articleWill Janasena Contest In T-Assembly Elections?